The name Riveredge says it all - it as a nature center wrapped around the Milwaukee River with a focus on ecological education. Riveredge Nature Center provides for an escape into unspoiled natural environments in the Milwaukee metro area. 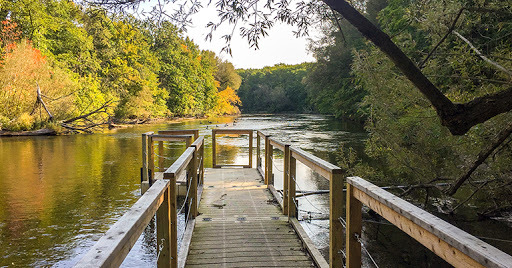 Its strong focus on youth education programming and innovative outreach has inspired naturalist programs at other regional organizations such as Milwaukee's Urban Ecology Center and The Ridges Sanctuary in Bailey's Harbor. 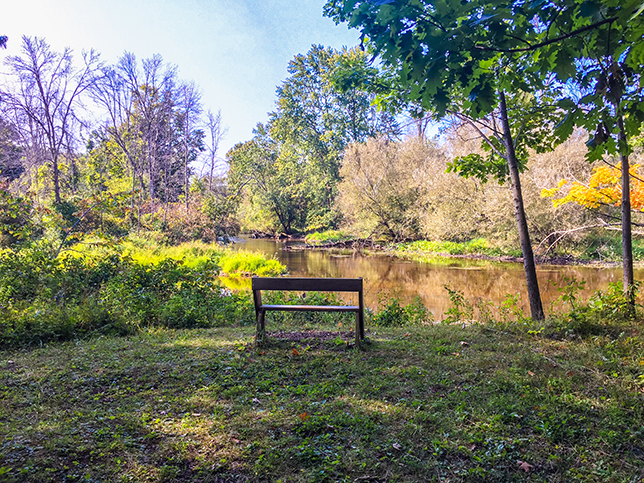 Riveredge features several miles of networked walking and hiking trails. 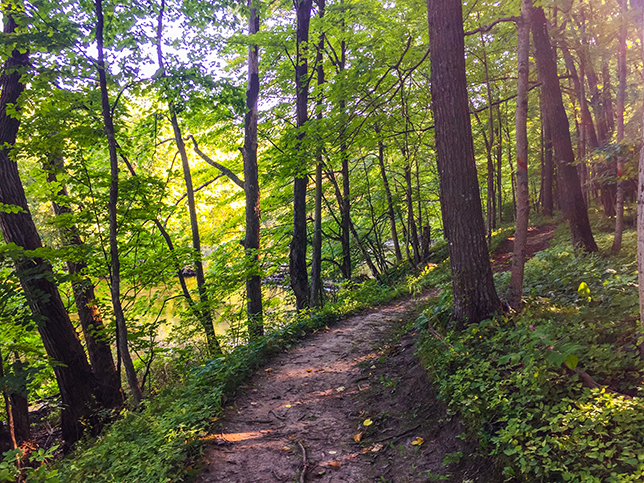 Among the most popular is a trail that follows the banks of the Milwaukee River. This 2.25 mile double loop trail is easy and appropriate for hikers of any fitness level. I have a lifelong connection with Riveredge. It was the nature center that introduced me to environmental conservation and my experiences at Riveredge likely played a role in my later development into a tree hugging outdoorsman as an adult. I grew up only a few miles from the center, was enrolled in its summer youth camps, visited the center on class field trips, and even volunteered as a youth counselor on summer breaks. 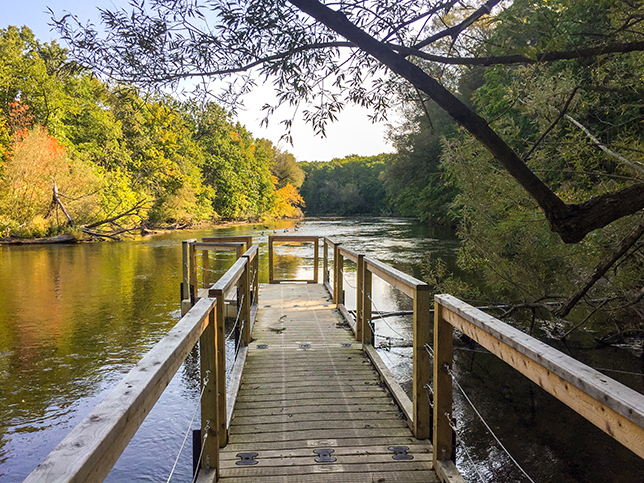 I waded in the Milwaukee River - kicking up rocks and snatching bugs and grubs for identification; and Riveredge is where I spent my first night sleeping beneath the stars and introduced to summer's constellations. 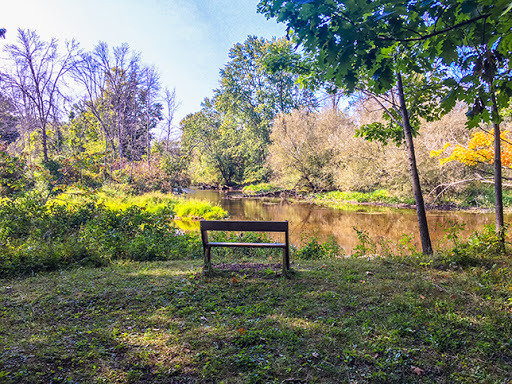 Today, when I visit family in the area we return to the pristine forested banks of the Milwaukee River in Newburg for Sunday strolls. My favorite route is highlighted in red below on the GPS map. This trail follows a bend in the river where islands cut it into channels. High bluffs along the trail provide fantastic views of the river and islands. At points the trail navigates down to the waters edge. 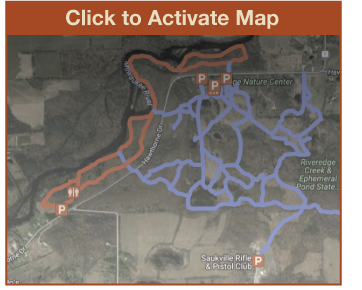 This trail also passes close by to the interpretive center and past other facilities such as the Sugar Inn and a sturgeon rearing facility. In recent years Riveredge has captured press attention for its sturgeon reintroduction program. 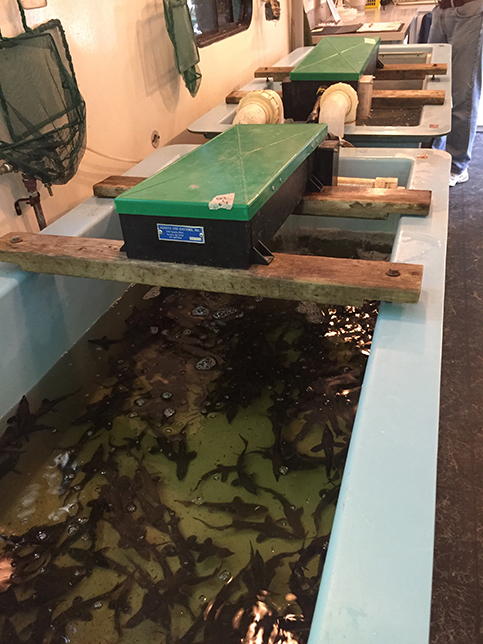 A sturgeon hatchery and rearing facility was installed at the Sugar Inn where young sturgeon are imprinted with Milwaukee River water pumped into rearing tanks. The Sturgeon are released in late summer at the Milwaukee lake front in an event dubbed Sturgeon Fest. 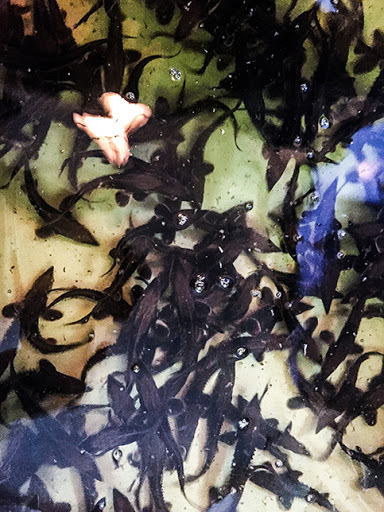 Once released they'll spend a decade in Lake Michigan, and if the imprinting works they'll find their way back up the Milwaukee River to Newburg to spawn and establish a sustainable breeding population. 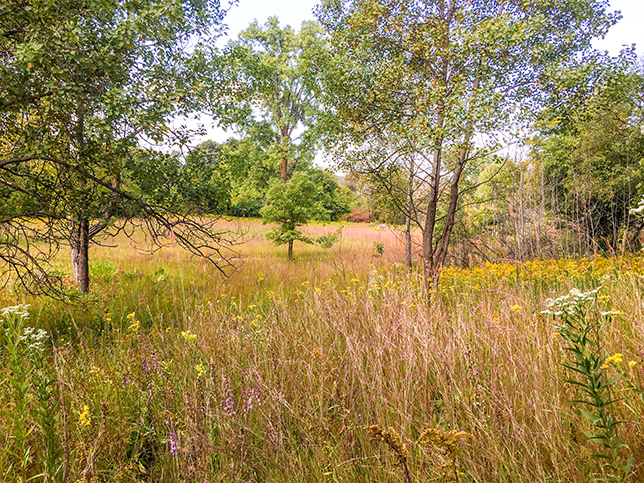 Riveredge is a tremendous resource for the Milwaukee North Shore communities. It is available to anyone in search of a quick escape into nature with one caveat, a membership or trail pass is required for hiking the trails. Visit the Riveredge Nature Center website for more information. 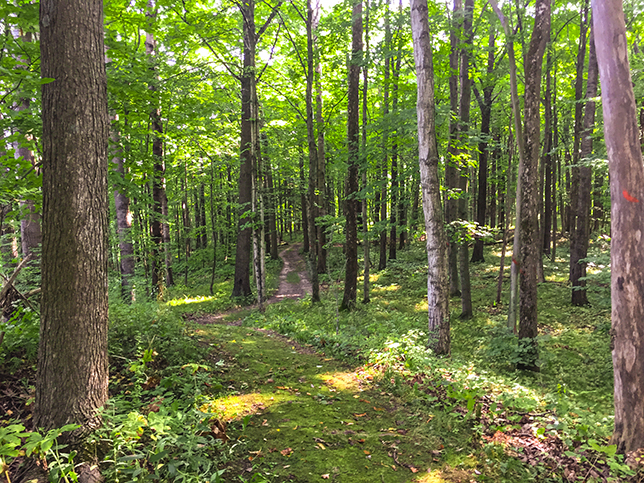 FEES: Membership or donation required for use of hiking trails. Stop in at the nature center for more information.